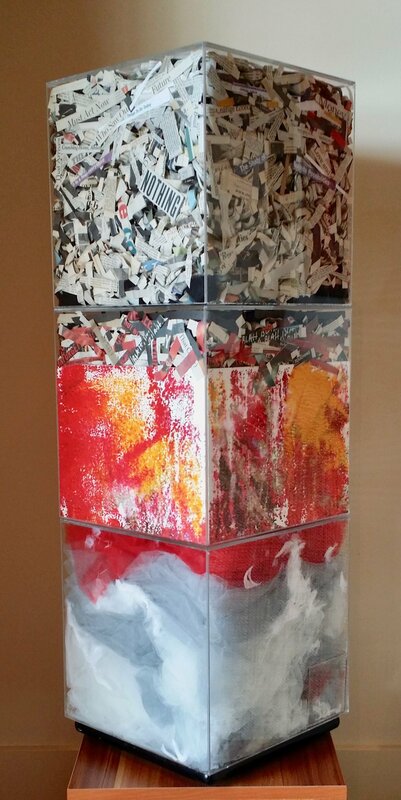 Five acrylic cubes containing dyed gray gauze, lightweight tulle, feathers, newspaper clippings, textured acrylic drawings, and dripped paint, arranged in the boxes so as to fill and modify their space. 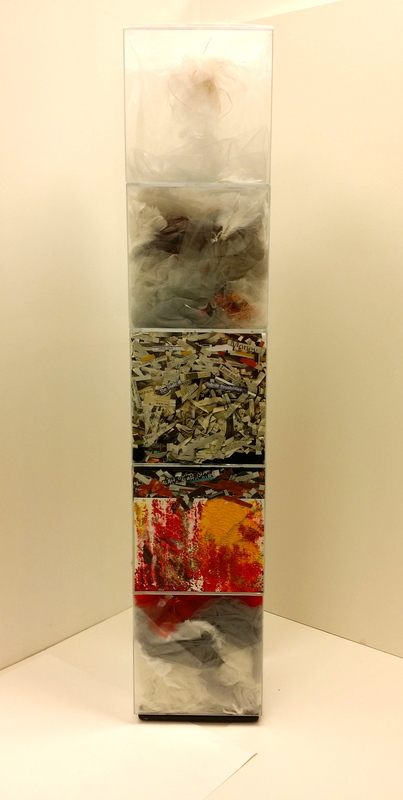 Each cube defines a separate space, yet the content of each bleeds into the next, connecting them into the whole. While the contents can be seen as unrelated, they can also be perceived as one in essence. 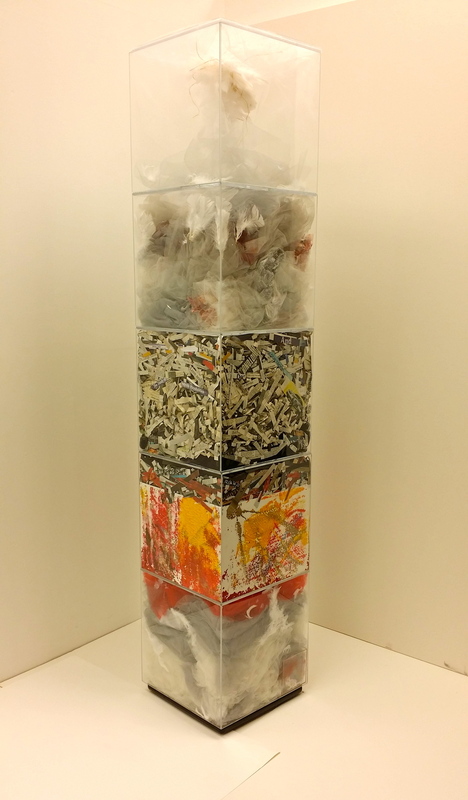 The stacked boxes suggest an orderly sequence, hinting at a logical cycle in which the materials are arranged.